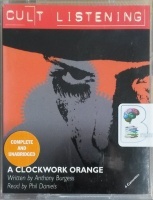 Over recent years it has become clear that, due to the reduced availability of Audio Cassette Players, many wonderful titles are less available than we believe they should be. With this in mind we have teamed up with a very experienced Audio Transfer company who can, normally within a few days, re-record your audiobooks onto Audio CD or USB MP3 stick. Now audio format is no longer a barrier to your listening! Format is a big issue in the world of books. Hardback or softback in the written word has been the biggest choice for most book lovers over the years. 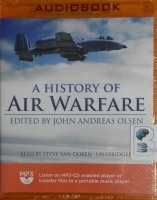 The issue of format arises in even greater relief with regard to audiobooks. So we at Brainfood Audiobooks have decided to develop our Audio Transfer Service. 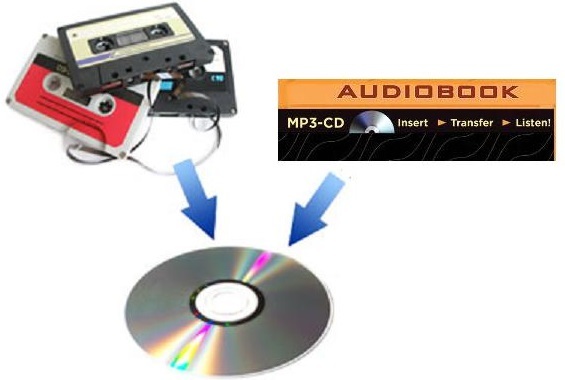 After several requests from our fantastic Customers we have decided to include a new option with regard to conversion of audio tapes and MP3 CDs. This option has been suggested to us by several Customers who own laptops/tablets that don't allow the use of MP3 CDs. So we are now offering an additional option of Transfer to MP3 USB Drive. 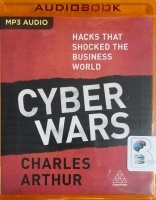 This means that you will receive both your original audiobook and a USB stick, with an MP3 file Transfer of your book, which you can insert into your USB socket on tablets or laptops. The additional cost for this service is £5.00. If you do wish to purchase this option with the Audio Transfer Service you will need to add this item to your basket before checking out. When we started providing our Audio Transfer Service in 1st January of 3 years ago we were not completely aware of the extraordinary need for this service. In the intervening years and months we have seen the demand grow and grow. In the spirit of continuous we wish to offer the very best service to our Customers we have redesigned and, hopefully, simplified our offering. As of Monday 8th May all our Audio Transfers will be written with approx 10 min tracks. This means that the audio on the tapes will be divided into six or seven 10 min segments. This will enable easier navigation of the CDs. Thanks goes to everyone who has suggested this improvement! In addition we have now have set price levels based on the duration of the audio to be transferred. Due to set-up costs the following prices relate to each book that requires transfer. ie If I had 3 books, 1 of which was under 3 hours and 2 of which were 8 hours long the total cost would be £10 + £30 + £30. We hope this will significantly simplify the ordering process. 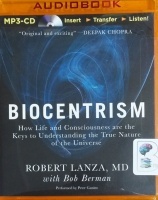 Turn around time will continue to be 5 working days for books purchased from Brainfood Audiobooks. 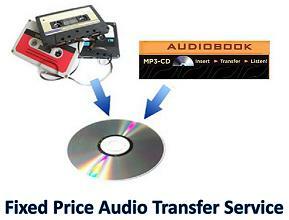 We have been asked, on many occasions, to provide our Audio Transfer Service, to Customers, using their own audio tapes. The demand has been so high that we have decided to go ahead. There are clearly a few more issues associated with providing this service but we will deal with a few of the main issues below. 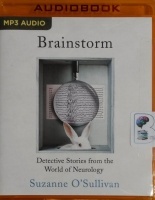 How will your Tapes get to Brainfood Audiobooks? We are very happy to receive your tapes which can be sent to us at Brainfood Audiobooks, Oernant Uchaf, Horseshoe Pass, Llangollen, LL20 8DP. We strongly advise you use Signed for Delivery with sufficient Insurance cover. This might well be quite a high level of cover depending on the tapes themselves. Please contact us if you are in any doubt as to the Insurance level required. We have regularly used the My Hermes delivery service for collections over the past few years. We are yet to have an item go missing with their service. This service would require an order for the service to be placed. You would then need to securely package your tapes ready for collection. We would then contact you and establish a good time for your tapes to be collected. We will then send you 2 labels. One to be inserted into the package and the other to be securely affixed to outside of the package to be collected. We would pay for the collection of your tapes and inform you of their successful arrival at Brainfood Audiobooks. We would make a preliminary test of your tapes to ensure they were suitable for Audio Transfer. You will be contacted to confirm that everything appears to be OK and that we have accepted them for Audio Transfer. They would then go to our Audio Transfer people to be processed and for the CDs to be recorded. Once all tapes had been transferred they would be packaged up and dispatched back to you with the CD transfers enclosed. If any issues arise during the transfer process we will contact you immediately. What this means is that format need no longer be a barrier to listening. Many of our recordings are over 50 years old and were only ever produced on audio cassette. Our new seamless service means that all these wonderful productions are now available, irrespective of your listening technology.